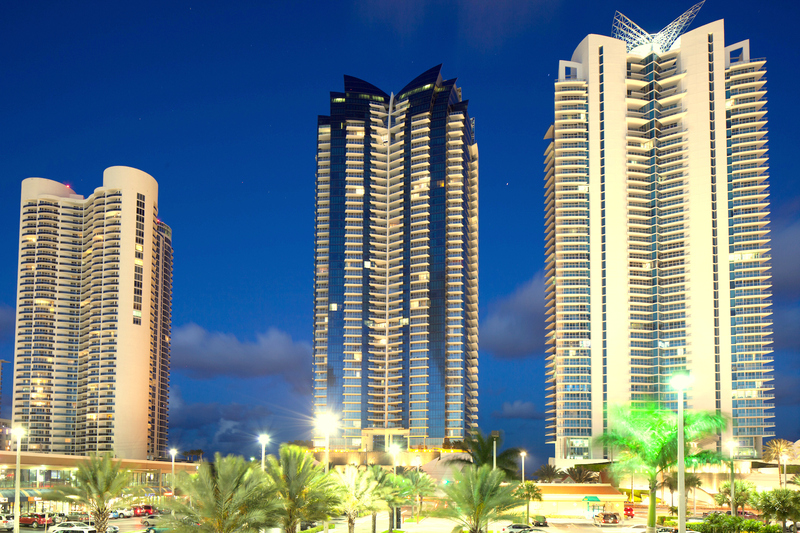 Jade Ocean was designed to be one of the finest residential condo properties in the US. While that does include high-end features, luxury materials and all the bells and whistles one would expect on property, it also includes the setting for this jewel of South Florida. Simply put, Jade Ocean sits at the nexus of everything you might want to see or experience, from shopping and dining to nightlife to exploring parks and nature. The immediate area around Jade Ocean is marked by pristine white sands and the blue waters of the Atlantic Ocean. Step down from the pool deck and you’re surrounded by cabanas and sunshine, the ocean breeze tugging at your hair. However, the property is located in Sunny Isles, one of the most affluent areas in South Florida, and there’s plenty to do within a very short distance from home. True to its name, Sunny Isles is the Venice of America, Florida’s Riviera. The Pier is always worth a look, but the area’s history makes sightseeing a popular pastime as well. If you’re in the mood for shopping, you’ll find that the Aventura Mall is within a short drive. Here, you’ll discover over 2 million square feet dedicated to retail stores and dining options. From high-end anchor stores to boutiques, there’s more to be seen here than you can accomplish in an entire day. You’ll also find that the rest of Aventura is ripe for exploration. There are numerous parks scattered around, including some of the finest dog parks in the state. There are also dining opportunities, nightlife and a great deal more to enjoy. Sunny Isles Beach is just a short drive north from South Beach, where you’ll find some of the most iconic neighborhoods in the greater Miami area. Explore SoFi, or head over to the Art Deco district. Head to the beach, or enjoy any of the many waterfront parks. South Beach is well known for its popularity with the jetsetter crowd, but there are also family areas and a great deal more to explore. You’ll love having direct access to all that Miami has to offer. It’s an incredible place to be, from concerts and shows to shopping. There are many big things on the horizon as well – Brickell City Centre is already under construction and will feature the first Cinemex in North America (combining excellent dining with movie watching). Miami Worldcenter is also slated for construction, and will provide 17 acres of retail, nightclubs, bars and even a 1,800-room hotel, not that you’ll want to spend too many nights away from home if you live at Jade Ocean. Life at Jade Ocean puts you right in the center of everything South Florida’s eastern coast offers. You’ll never lack for options, whether you’re a confirmed shopaholic or you want to take a deep sea fishing charter out to try your luck. A little bit more driving lets you reach Orlando, or you could head down to the Keys for the weekend, or even across to Tampa and St. Pete.